Enjoy the mile-long Mispillion Riverwalk in Milford for a charming afternoon in this quaint village. Lined with a series of colorful murals, art galleries, and local eateries, and of course right on the river, the Riverwalk is a centerpiece of this artistic community and a wonderful activity, even in the winter! Snap pictures of the many hand-painted boats along the way, and stop in at Dolce Bakery or the Mispillion River Brewing to warm up after! The Delaware State Fair may be gone until next year, but winter is still a great time to visit the fairgrounds in Harrington — the Centre Ice Rink is open again and full of fun! Glide over the ice for an enjoyable afternoon. And this year, enjoy bumper cars on ice! 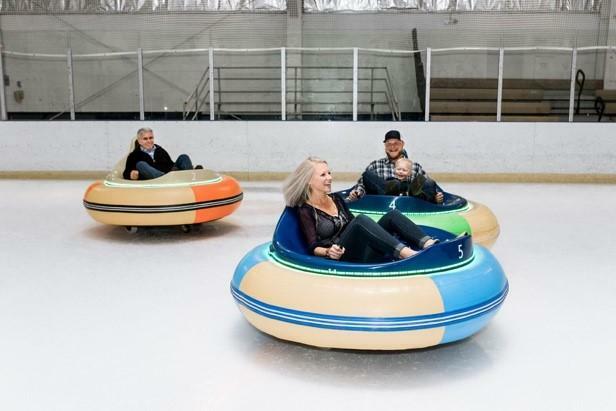 Available on weekends during public skating, Centre Ice Rink brings bumper cars onto the ice so you can bump into your friends and family and send them twirling! Try out this fun activity for a memorable spin on a classic. See if luck will be your lady with a final spin for the year at Delaware’s best casinos! Visit Dover Downs Hotel & Casino or Harrington Raceway & Casino for around-the-clock gaming, with poker, slots, live entertainment, and more! Enjoy trying your hand at starting 2019 a little more flush with cash than you’d planned! And indulge a little in the best scrapple & sausage sandwiches in Delaware! Helen’s Sausage House, a family-owned staple of Smyrna and a local favorite, serves down-home cuisine and the best sausage in Delaware’s Quaint Villages. Since 1983, they’ve been known for their homemade sausage recipes and great service — cross this gem off your list with a visit! Stand next to Miles the Monster, the 46-foot-tall Monster Monument at Dover International Speedway’s Victory Plaza. This fiberglass structure is a popular NASCAR fan favorite, and he holds a full-size stock car in his outstretched hand! Tour behind-the-scenes at the Monster Mile throughout the year, and start planning your 2019 NASCAR adventures now! 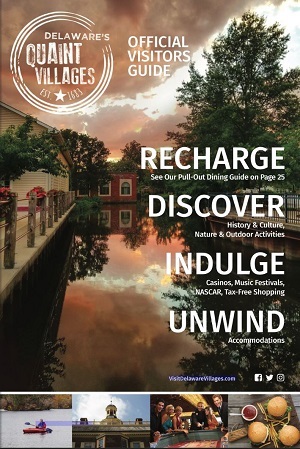 It’s almost time to say goodbye to 2018, but it’s always a great time to visit Delaware’s Quaint Villages! Cross these must-visit locations off your 2018 bucket list and start 2019 off on the right foot!